Jeffrey Alan Kerstetter, solo practitioner since 2014 at Kerstetter Law, LLC focuses his practice exclusively on family law and brings to his clients what he calls the two Rs: reality and results. A DIVORCE CAN BE A STRESSFUL TIME FOR BOTH PARENTS AND CHILDREN WHO ARE INVOLVED IN WHAT CAN BE A LONG AND DIFFICULT PROCESS. Divorce can be an exhausting process even when there are no children involved. When there are children born of a marriage, things can, unfortunately, become even more complicated and emotionally draining. Jeffrey Alan Kerstetter, solo practitioner since 2014 at Kerstetter Law, LLC focuses his practice exclusively on family law and brings to his clients what he calls the two Rs: reality and results. Jeffrey works with his clients toward finding reasonable, timely, cost-effective solutions. His client-centered approach, knowledge of family law and skill at finding practical solutions to complex problems have helped Jeffrey build a trusted legal practice one satisfied client at a time. Kerstetter Law, LLC prides itself on the ability to overcome any obstacle with poise by keeping the client updated and fully involved and individualizing services to provide the best results possible for each client. 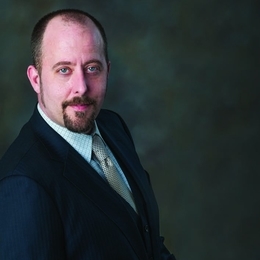 When it does come down to the nitty-gritty of dividing costs through alimony and child support and dividing time through custody and parenting time, even with the possibility of relocation, Jeffrey is fully aware of the rights of both parents and is always by his client’s side every step of the way. “The big thing is that you have to always try to remember to bear in mind what is best for the children; make sure they’re taken care of; make sure [they] understand that both parents have rights and care about them,” Jeffrey says. When it comes to establishing an award of alimony, many factors can play a part in deciding whether to make an award as well as how much that award should be and for how long it should be in place. New Jersey’s alimony statute was amended several years ago so that the courts can examine many factors when deciding whether or not to award alimony and what type of alimony is appropriate. Children and the former marital lifestyle play a large role in deciding the parameters of this financial obligation. There are no strict legal rules as to how the court is to calculate an alimony award amount, though there are some widely used guidelines all competent family law practitioners in New Jersey are aware of. Each case will turn on its own financial merits and realities. When making an award as to parenting time, the court will take into account the history of each parent’s responsibilities with the child or children. New Jersey’s custody statute gives the court a direct command to examine a number of specific factors when making a decision on custody and parenting time. Frequently, primary custody is awarded to the parent who spent more time raising the child while the supporting spouse was at work, says Jeffrey. The child’s best interest is the single most crucial factor considered by the court when deciding not only parenting time, but many factors in a divorce when there are children involved. This makes advocacy for parents in a divorce also advocacy for children, some- thing Jeffrey never forgets. There is no hard and fast rule or case law as to how far a parent desires to move with a child before they are required to seek leave of the court to do so in the event that the other parent will not consent. When it comes to moving out of state, however, New Jersey’s case law on this matter has recently changed, overturning previous law on the matter and now holding that the “best interest of the child” will determine whether or not the court will issue an order granting a request to relocate out of state over the objection of the other parent. This new case law raises the standard for an out-of-state relocation considerably if the non-custodial parent will not consent to the move.